The focus of this residential deck was to increase the functionality for the family to enjoy the backyard. Many Lethbridge yards are small, this property is no different. 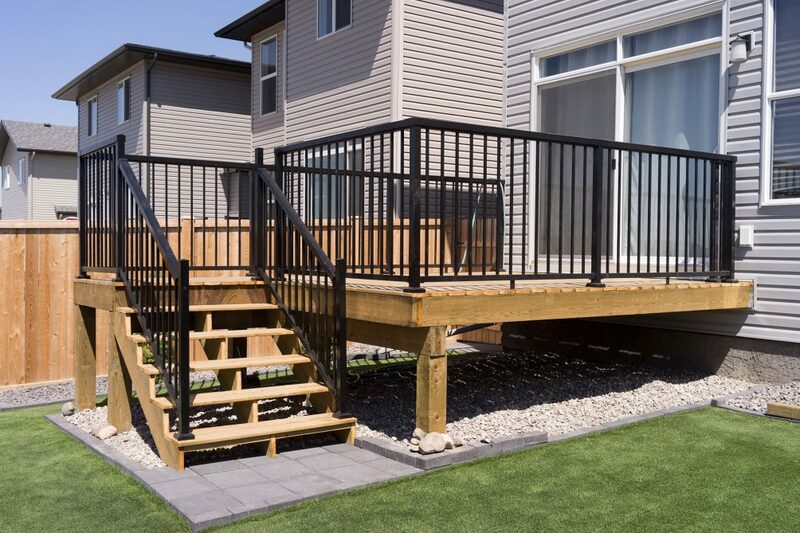 The family wanted a deck to help them enjoy their backyard with a quality deck that will host many family events. Many families enjoy their backyards for family gatherings, activities and much more. If you would like to increase the security for your family, have an enclosure for your pets or looking to increase the value of your home, please contact our experienced team for details. See our other projects for ideas to inspire your next build. © 2017 LETHBRIDGE RESIDENTIAL FENCE AND DECK. All Rights Reserved.